I think when we imagine about some decent wooden sitting arrangement especially for the patio, a wooden bench along with the table is one of the most appropriate and frequented approach as this is becoming trendy with every passing day. 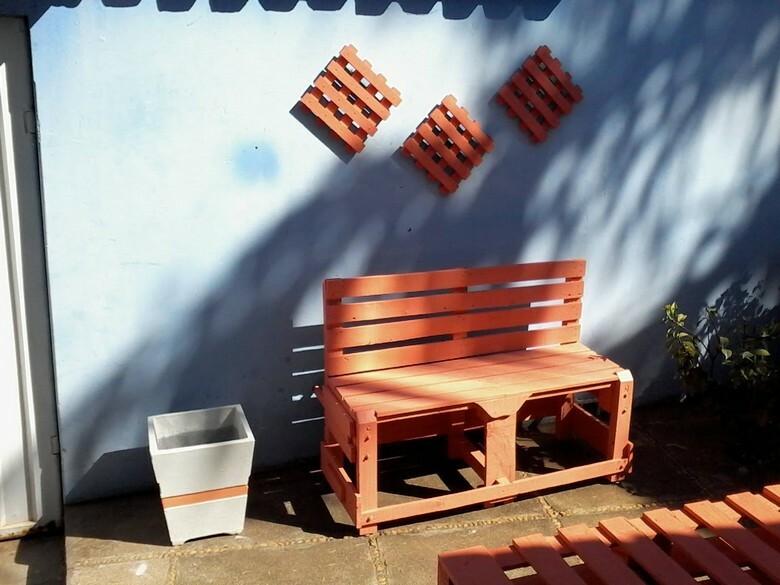 A wood bench is always closely associated with the outdoor spaces, may be it has a long history of being used in the open spaces. We can find the evidences even in the literature too. 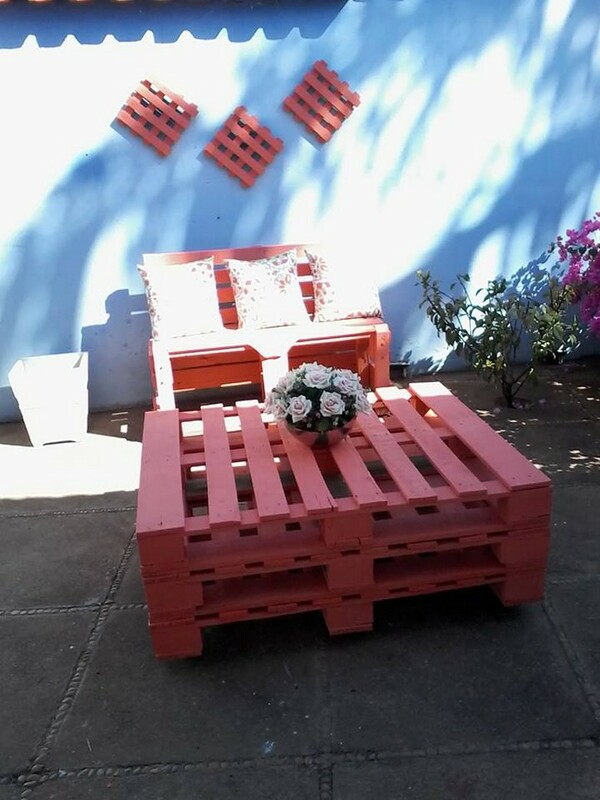 That is why we are going to recycle this most common pair, I mean a pallet wood patio bench along with the matching table. 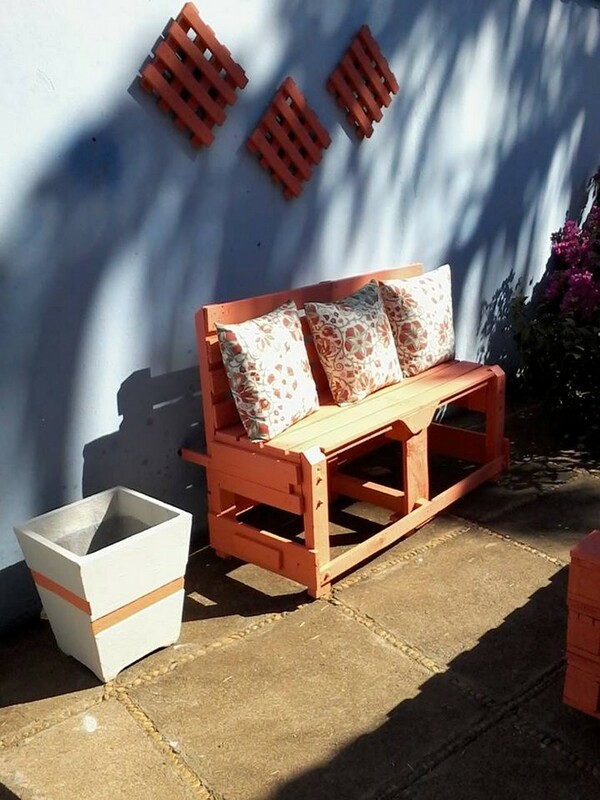 Let us begin with the wooden pallet patio bench, but hang on. 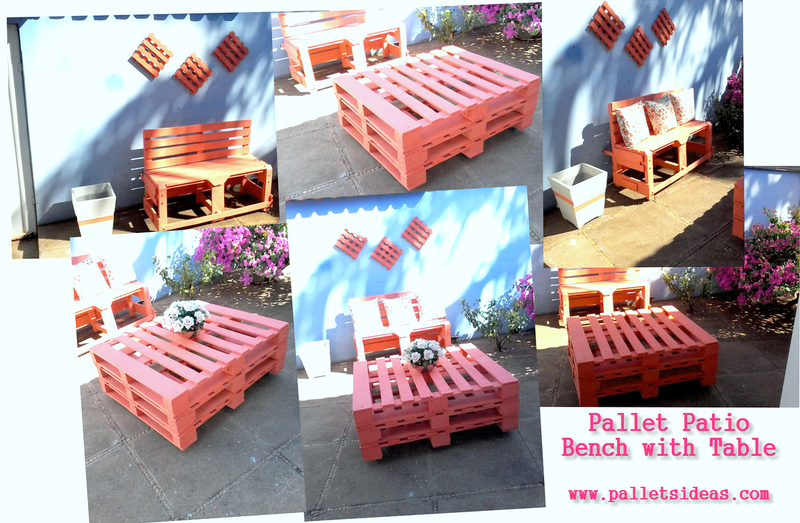 Before turning towards the patio bench you must have a look on the wood pallet wall art. 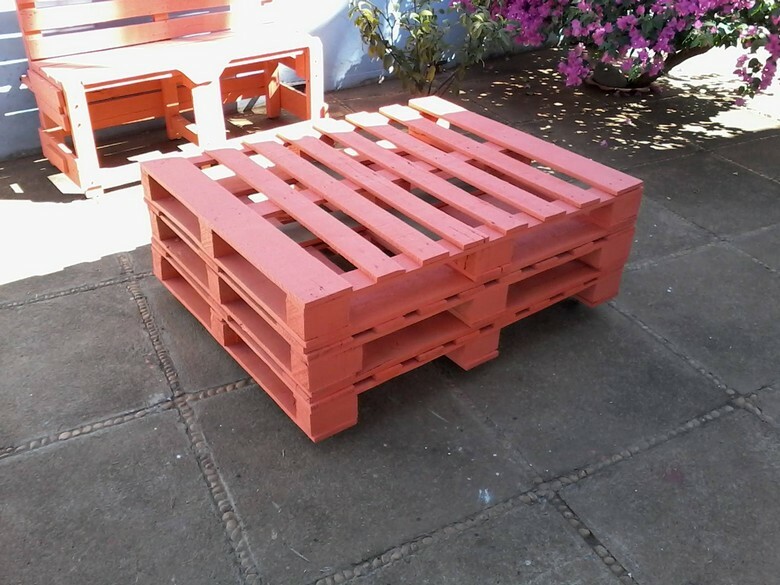 I think that is really commendable work by some smart wood pallet crafter that must be praised and appreciated. 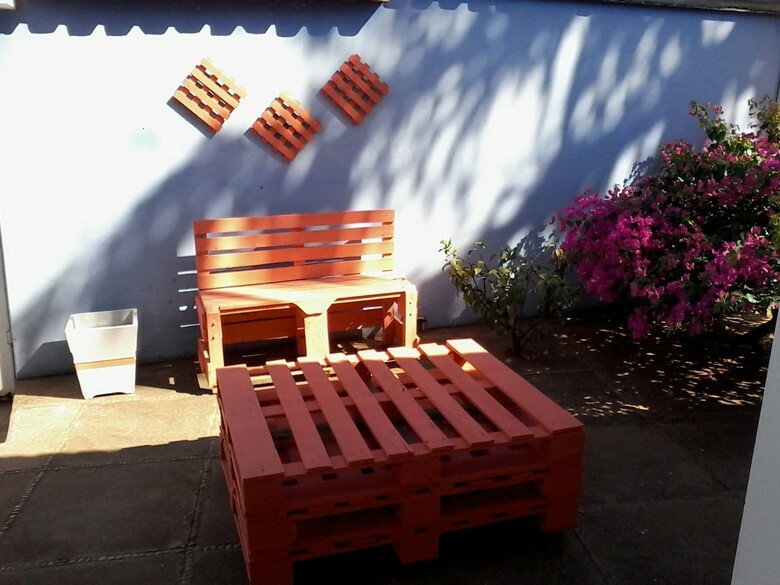 Now move on the wood pallet bench. Well, this isn’t that sort of typical bench that we usually see around us or in the public places. It has got a complex structure and shape that is not really easy to comprehend for the ones who are not the wood pallet crafters. 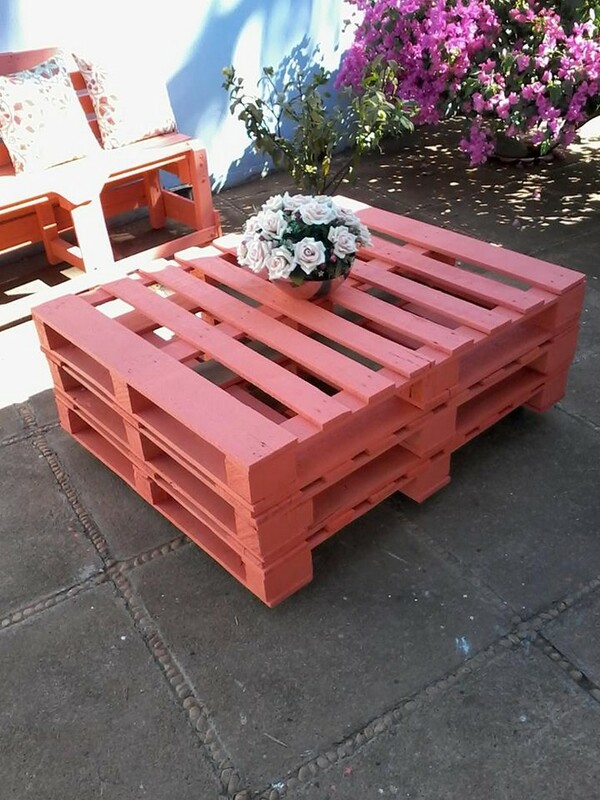 Meanwhile we have also presented the matching wood pallet coffee table. As this was meant to be placed in the open so we didn’t bother to cover the top with glass or something like that. We just maintained the same woody look all around, each and every corner of the table is made suing the same shipping wood pallets. May be some of you might find it a bit deficient for serving the entire family, but for the smaller ones this is an ideal sitting arrangement. Do you see the little spaces between the tiers? Use them for tiny storage hacks if you like.